The Background: Kim's original quilt used 8 1/2 yards of Clover in grey which is no longer available. We suggest using one of Kaffe's Spots or Aboriginal Dots fabrics for the background. 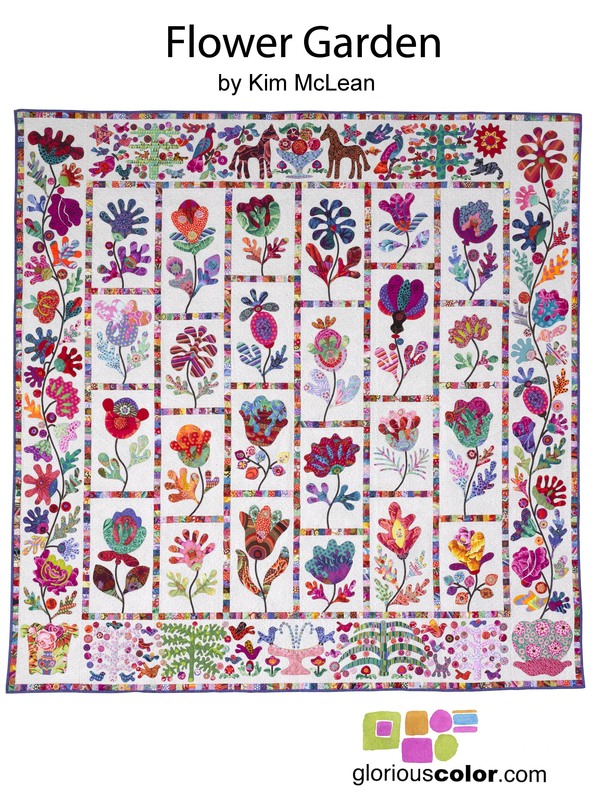 The Pattern: The pattern for the entire quilt is available in a single package. It is printed in 1:1 scale. There is no need to enlarge the pattern. 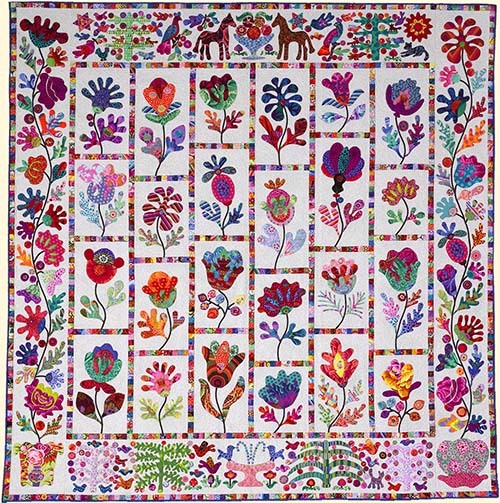 The quilt size is 89" x 91"